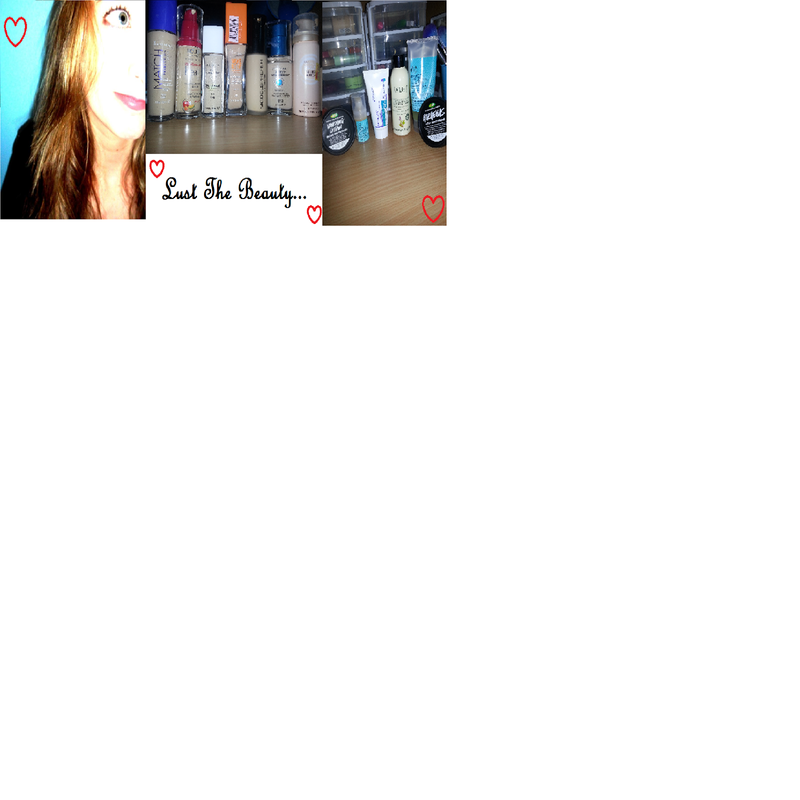 Lust The Beauty: September Favourites! This month, I haven't been doing much except working and shopping. So much shopping. I am a HUGE bargain hunter, so if I see any sign that says 'clearance' I'm there faster than you can say "cheese on toast". So seeing as I have been shopping often, I have managed to find many new things on sale that I want to try. Some of my favourites are ones I've had before September, but they still remain favourites of mine, and others are new and I've fallen in love with. One item is NOT beauty related (I know, SHOCK!) but has definitely been a huge favourite, as I've gone through probably a bag a week of these (if not more :S). The Bourjois Healthy Mix foundation has been the one I reach for lately. It gives a really nice medium coverage, is ALMOST the right colour for my skin (a little bit too olive-toned), and smells really sweet like flowers and boiled lollies. Yum! I have it in shade 52 which is Vanilla. I think this is the lightest is comes in - correct me if I'm wrong. 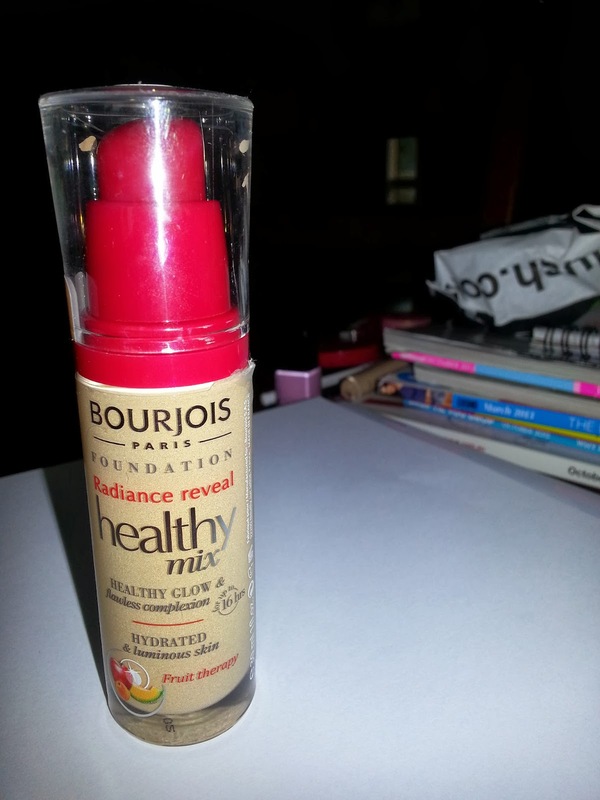 It gives a nice natural finish and isn't too dewy, which is good for my combination/oily skin. 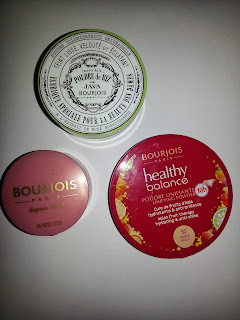 More Bourjois! I'm really loving their products lately. I use the blush between foundation and powder. 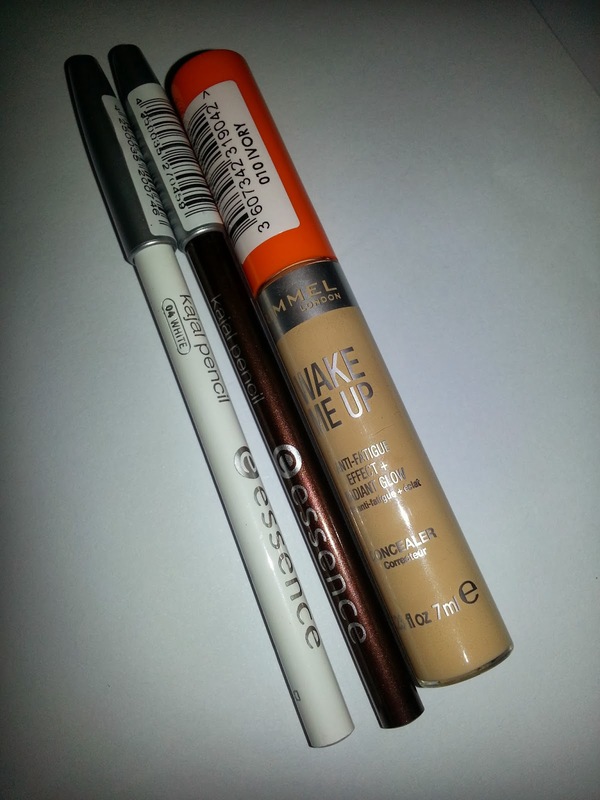 I find it clings better to the skin and is more subtle because of the powder over the top. The blush is in 34 Golden Rose, which is a pretty shimmery china doll pink. The little container is so adorable, has a mirror and is magnetic, which is great for my tiny fragile fingers. I hate trying to pry open packaging! It even smells nice. I've noticed with the Bourjois products I have that they smell like roses and flowers. The foundation is a sweeter smell than the blush and illuminating powder, which both smell lightly of roses. The powder is in Vanilla too, and seems to actually be a lighter shade than the foundation (that could be on purpose, I'm not sure). And the Universal Illuminating powder is essential! I use it almost every day! It just gives the perfect finish over makeup. I have been wanting to try these Maybelline Color Whispers for a while, but being around $15 for one, I was hesitant. But luckily in Coles they had a 3 for 2 sale, so I took the plunge and bought two, and the Falsies mascara too (which I was a little disappointed with, sadly). 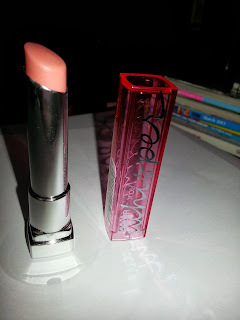 This one is my favourite, and has even made into my small makeup bag in my hand bag. It's in the shade 55 'One Size Fits Pearl'; even the name is adorable. It comes out very translucent on my lips, and gives a lovely pearly shine, which I love, because I'm too scared to use lipstick most of the time. These three are also big essentials for me. I have it in the shade 010 Ivory, which is the right colour for my skin (a shade lighter; as concealers should be). Eyeliners. I was never big on eyeliner, but they're growing on me. And thanks to Zoe (known as Zoella) I'm now hooked on brown eyeliner. So much more naturally looking. I thought black was the only colour that would look natural, but brown actually looks better! I've been using this all the time! (This is just a cheap one, so I'm not going to bother with the brand). The white one is a newer purchase. I'd heard that using white eyeliner in your waterline can help make your eyes look bigger or more awake, or something fabulous, so...I'm aboard. I definitely saw a different, but a good tip is to keep it minimal, otherwise you will look...odd, to say the least. So, I really this isn't beauty related - in fact the complete opposite, but I LOVE chips. I've heard people say that you're either a sweet tooth or a savoury..tooth? 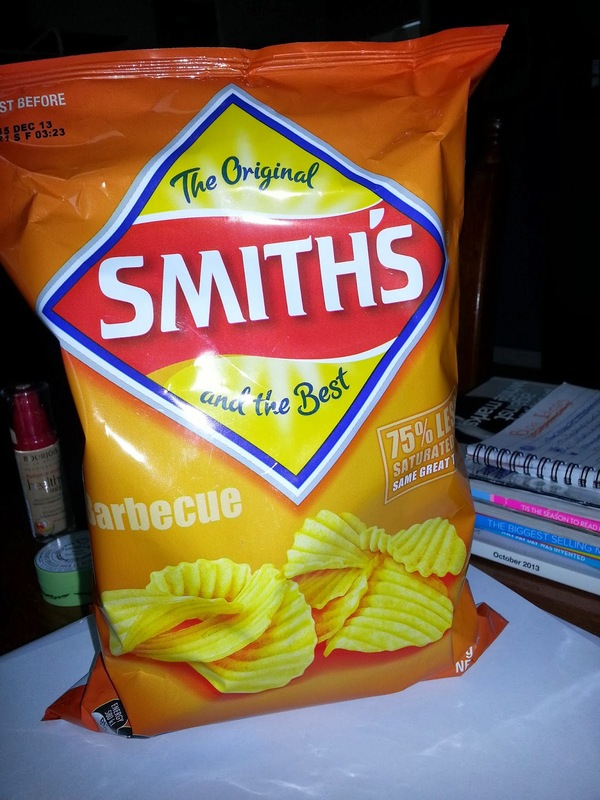 Well, anyway, I'm a savoury gal, and I will NEVER EVER pass up chips. Ever. 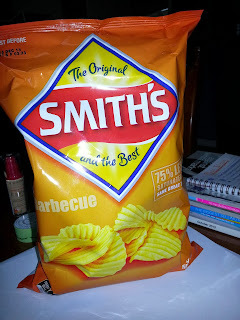 The Smith's brand (my favourite) were on sale for half price...so I bought four bags. As you do. I only ever eat barbecue, salt and vinegar, and original (I hate chicken and that onion flavour, EW!). 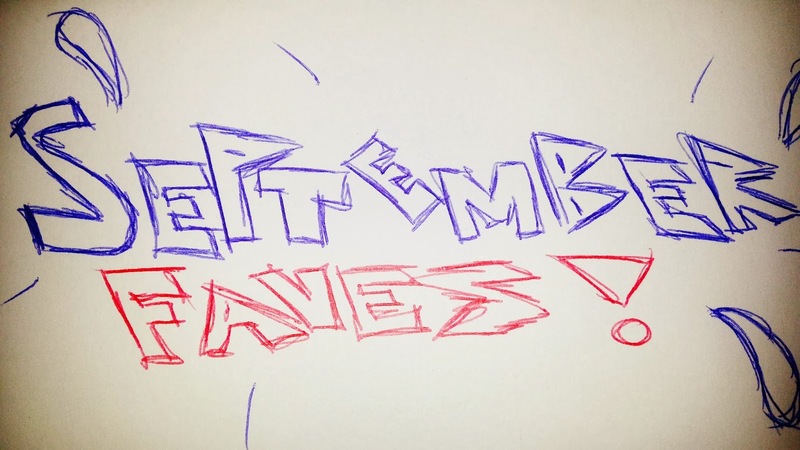 So yeah, they're pretty much my only favourites for the month! Not a lot, but I'm a simple gal. And I'm pleased to note too, that I have just popped my Real Techniques cherry, and just went and bought a three pack of brushes from Priceline. WOO! Can't wait to try them!